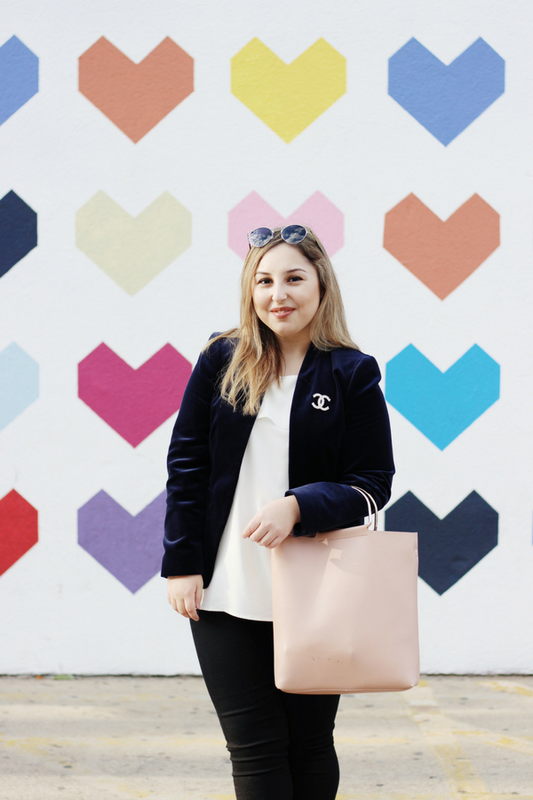 I'm so excited to share today's outfit post since I got to cross off another thing off my Dallas bucket list: shooting at the RewardStyle LiketoKnowIt wall! If you live in Dallas, you probably think the wall is old news and cliche so feel free to skip this post haha. But for bloggers like me that are new to Dallas, it's a must! 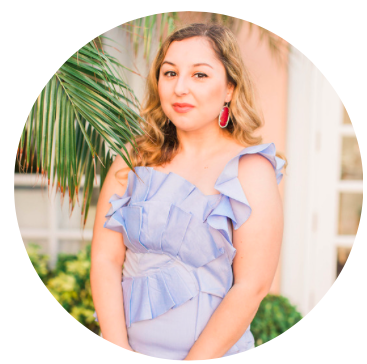 I got accepted into Rewardstyle 2 years ago (after my second try!) and it's honestly changed my blogging game forever. I made a post all about how to increase your chances of getting accepted into the program in this post a while ago. 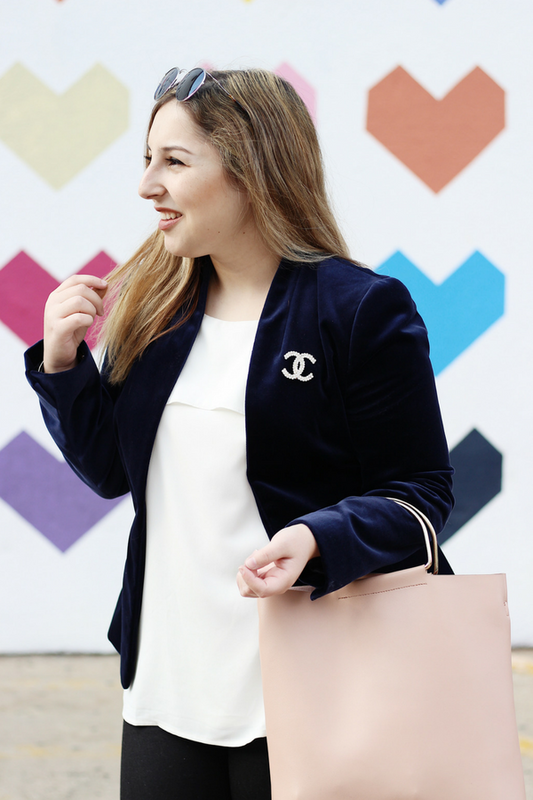 I'm wearing my favorite velvet blazer in this gorgeous navy blue color which is perfect for work at the office but also for going out to dinner especially with the Chanel pin. 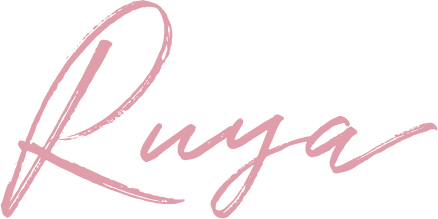 When it comes to buying vintage designer items, my go-to place is TheRealReal and no I'm not being sponsored haha! I just love the website and check it almost everyday because there's SO MANY gorgeous designer things which are authentic and in good condition for more affordable prices (at least more affordable compared to buying it in stores!) and there's even things that aren't really considered "vintage" since they're only 1-2 years old but the price has been decreased significantly so make sure to check it out if you're looking for anything! Did I mention they also have sales? P.S. for my NYC gals, they just opened up their own store on 80 Wooster Street in Soho! Alright I'll stop now lol. That blazer is so cute! The velvet addd such a nice touch! So cute! That blazer looks super cozy! 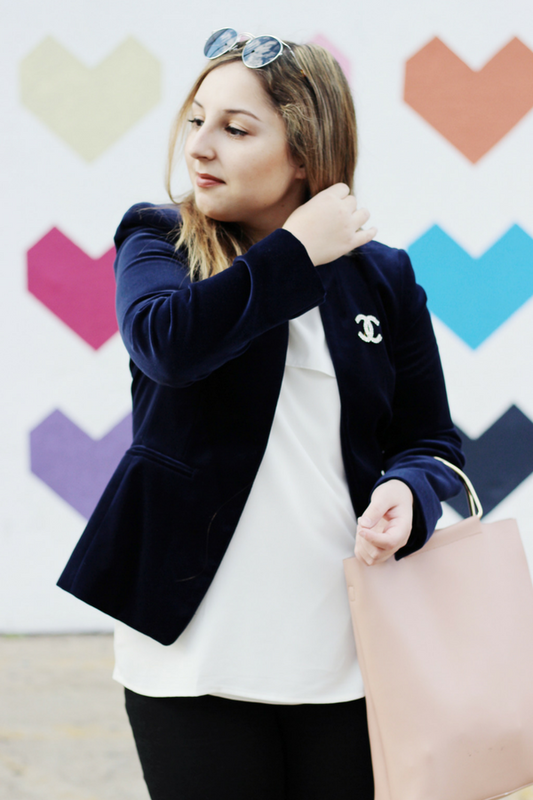 Love, love, love this blazer! You look so cute! I SO love this look! 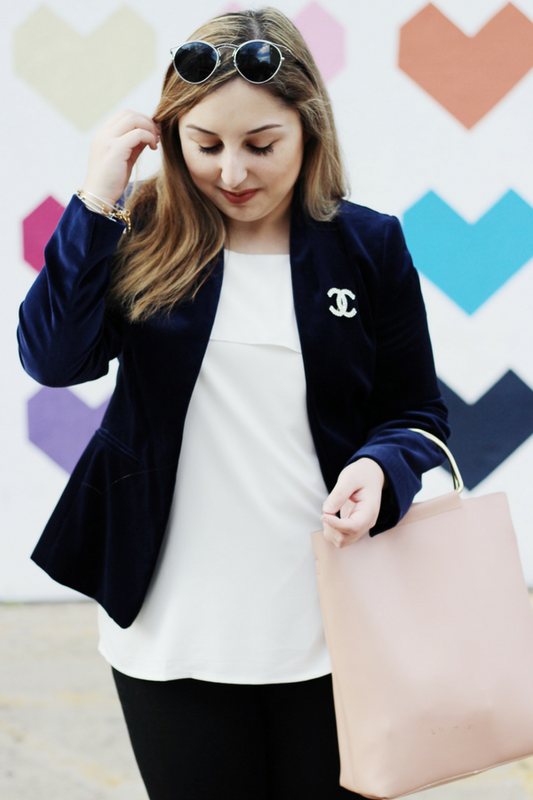 The blazer is adorable and I love that Chanel pin! You look so darling. This is such a simple look but I really love the blazer.It totally makes the look. I loveee that blazer on you. The color is perfect! I'm definitely on the hunt for more blazers to add to my wardrobe. They're perfect to wear to work or to wear for more casual occasions. 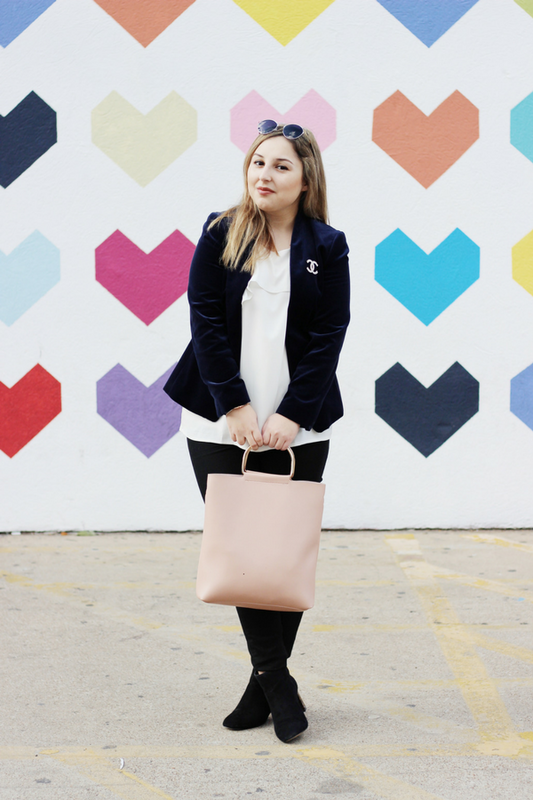 Such a cute blazer! I love how you can dress it up or down! Such a staple!! I love your pin-it is so cute, it definitely would dress up any look! so cute! love the brooch!